The San Francisco Gay Men’s Chorus announced plans on Thursday to open a national center devoted to LGBTQ arts and culture. 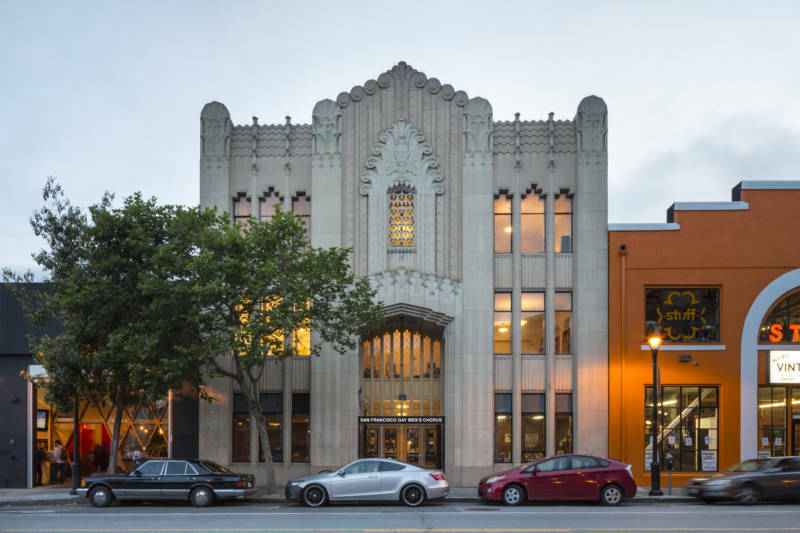 The 42-year-old nonprofit, one of the country's biggest and oldest gay choirs, purchased the $9.6 million, four-story building at 170 Valencia St. from the Baha'i Faith with the help of a $5 million donation from one of its own members, Terrence Chan. Plans for the new 23,000-square-foot hub include recording, rehearsal, performance, meeting and other facilities for local, regional and national LGBTQ groups. "Those of us who live in San Francisco are keenly aware of the lack of usable rehearsal space and convening spaces in the city. And when you do find space, rates are usually astronomical, especially for small LGBTQ arts organizations," said San Francisco Gay Men's Chorus executive director Chris Verdugo. "Our intention is to provide affordable space for these community organizations to rehearse, to collaborate, and to incubate new works." The chorus is billing the new center as the "first-ever national LGBTQ center for the arts." It joins several other LGBTQ-focused spaces in San Francisco, like the SFLGBT Center in the Castro and the Queer Cultural Center (producer of the National Queer Arts Festival) in the Western Addition. "We did some research in the larger cities. There are other LGBTQ arts centers," Verdugo said. "But there is no one single place that will offer everything that we plan to offer." Members of the Bay Area cultural community are reacting positively to the news. "We have such a need for performing arts spaces in San Francisco and the Bay Area as a whole," said Brad Erickson, executive director of Theatre Bay Area, a regional performing arts service organization. "Kudos to them for being able to get the funds necessary to open up that space, not only for themselves but also for others in the community." "The launch of the National LGBTQ Center for the Arts in San Francisco is wonderful news," said Roberto Ordeñana, deputy executive director of the San Francisco LGBT Center and president of the San Francisco Arts Commission. "It is vital to increase permanent spaces for arts and culture, as many LGBTQ artists and arts nonprofits are being forced to leave San Francisco due to the affordability challenges facing major cities like ours. The San Francisco Gay Men's Chorus has a long history of helping our community heal in times of crisis, and helps us envision a brighter future. It deserves a permanent home." Verdugo said the San Francisco Gay Men's Chorus took possession of the building in December. The organization is launching a capital campaign to renovate the space and hopes to open its doors officially in the fall.